A very colorful picture book for your toddler. Hello Mommies and Daddies! 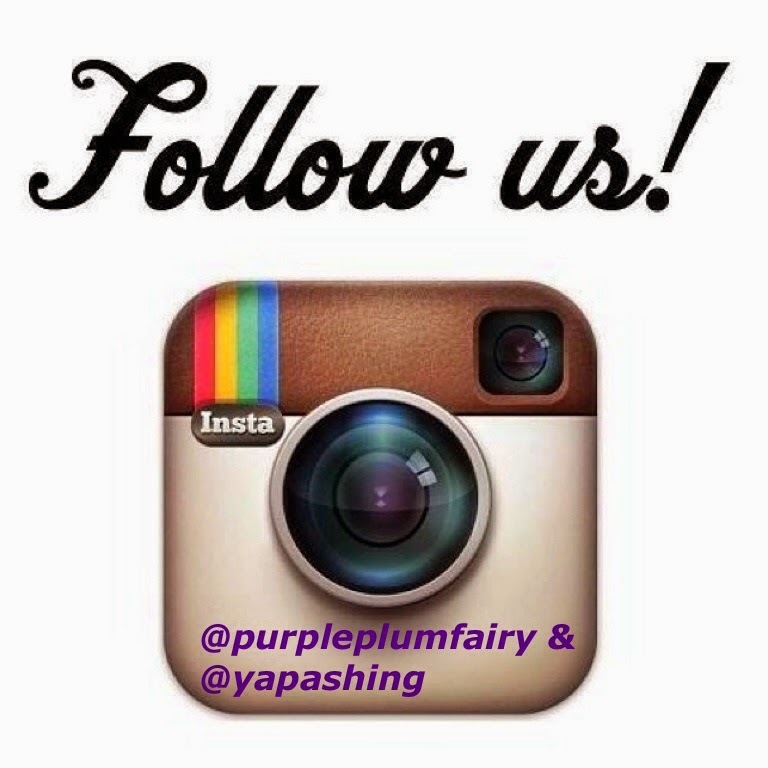 It's time to share another giveaway from the pixie dusts of this Purple Fairy! Woot! Woot! I know this is just my small token of thank you to everyone who continuously read and subscribe to my retarded blog entries. I am so sorry as I had been quite busy with other stuff lately that going online had truly been impossible. Loyal followers must know that I just had two previous giveaways. The first one was last summer where I had given away three tubes of Banana Boat sunblock for kids (There's another one left in my possession, so for the winner who haven't received her prize please get in touch with me within this month, otherwise, I'll have to forfeit your prize.) Then I had given away Fashion Blendz items for three lucky readers from our generous sponsor. As of this writing, all the winners were able to receive their prizes. Again, thank you so much for all those who joined my previous contests. As early as this month, I am posting my Christmas giveaway because I'm pretty sure I'd be busy again come the holiday season preparing the Christmas feast dinner, presents for my family and all stressful stuff. For this year, Mommies and Daddies could win any of the these items: A book for their child called The Very Lazy Lady Bug (hard bound), a book for you based on Universal Pictures' Robin Hood (paperback) and a beige Mimi Purse from the Rags to Riches' design of Rajo Laurel. There will also be two educational videos for kids ages 1-5 years old, two tickets + four complimentary drinks to the Liquid Bar @ Manila Ocean Park, Sundance Hailey purple/lavender blouse worth P315.00, and of course, the grand prize--an educational V-tech toy for your baby/toddler worth P1,700. For my food blog, Security Blanket, I'll have another limited edition Nestle Coffee Shaker for one lucky follower/reader. There will be a total of eight winners because there are eight prizes to be given away for Christmas. A Mimi Purse from the Rags to Riches design of Rajo Laurel. 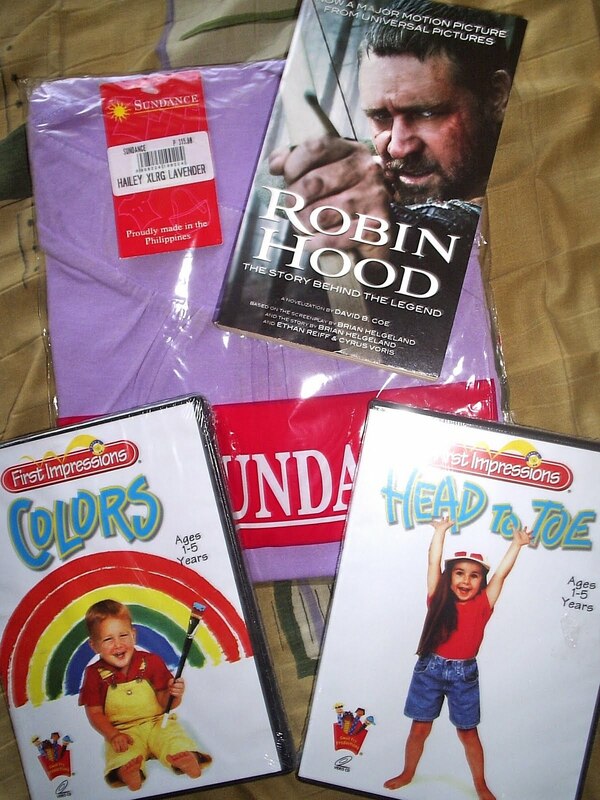 The RobinHood paperback with two educational videos + purple Hailey Sundance blouse. *PLEASE READ BEFORE JOINING: By the way, this contest is only for Philippine residents only. Winners must understand that prizes will not be delivered to them and must agree for a meet-up. You may join if you're living in the province, provided that you'll agree for a meet-up. Winners will be informed where they could pick up their prizes. Winners must claim their prizes until January 31, 2012, otherwise, prizes will be forfeited. 1. 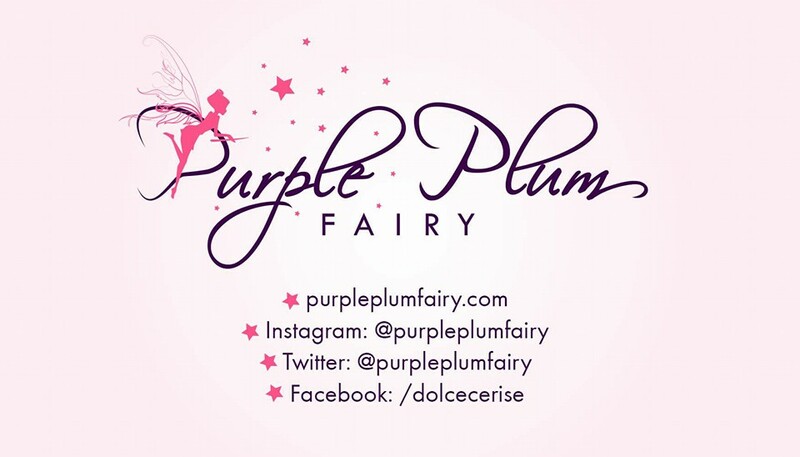 You must publicly follow Purple Plum Fairy via GFC (Google Friend Connect) and/or Networked Blogs. 3. Publicly follow Security Blanket and Soulful Travels via GFC. 4. Subscribe via e-mail (you have to confirm your subscription once you receive the message in your inbox)thru Feedburner. 4. Blog about this giveaway and link back to this post. 5. Publicly follow @purpleplumfairy on Twitter. 6. Answer this question: What do you know now that you didn't know when you were not yet a parent (a mom or a dad)? Send an email to egochingco@gmail.com with the subject: PPF X'mas Contest, together with your answer, name, email, mobile and mailing address. I am sorry I need to do this so that there will be no copying of answers. 5. When you did all the first steps, kindly comment at the end of this blog post to make tracking easy enough for me. I hope you guys can join my Christmas Giveaway. Thank you! joining your giveaway + hoping to win the v-tech toy! lol! Bioessence: 17 years and Loving it! Polecats Manila's Polarity Show: Truly Amazing!